The Ho Chi Minh City Department of transport has announced a series of measures designed to tackle the metropolis’ worsening traffic congestion through the end of this year. 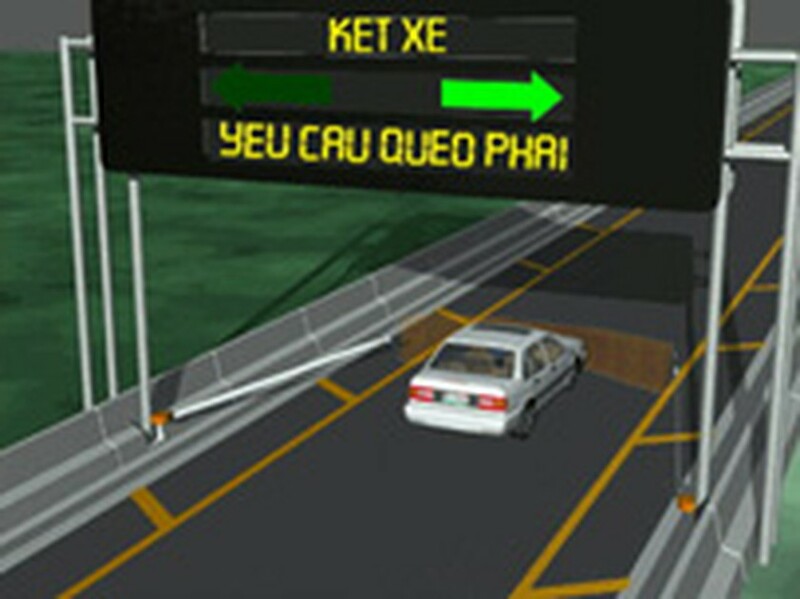 A traffic signboard signals a detour that vehicles can take to avoid getting stuck in traffic jams. The department reported its plan to the city People’s Committee on May 10. Traffic jams in Vietnam’s biggest city are getting worse, it said. The department said it is collecting the opinions of district authorities and is drafting a request that the city People’s Committee halt the licensing of new business that gather large numbers of people or vehicles on the street. The proposal submitted to the committee also plans to upgrade road signage and hasten work on several major infrastructure projects in the city. Construction sites currently block larges sections of many important roads in the inner city. The department said it also planned to implement measures to ensure that students and parents do not crowd streets in front of schools at the beginning and the end of classes. The department asked police to amp-up patrols and ensure that traffic law violators are punished appropriately. HCM City has about 3,300 kilometers of roads and streets, equivalent to 26 square kilometers of pavement. The city’s total area is 2,095 square kilometers, so the ratio of road to total area is about 1.5 kilometers per square kilometer, or about one-tenth the world standard for cities. Viewed another way, roads and streets take up 1.36 percent of the city’s total area, compared to a world standard of 20 to 25 percent. And the number of vehicles is soaring. The city has around 4 million vehicles, including 3.8 million motorbikes. Everyday, another 500,000 motorbikes and 60,000 cars carry commuters from adjacent provinces.